"If I were to compare Andrew Vachss to any other writer, it would be Charles Dickens—his larger-than-life characters, his deep commitment to the innocent victims of our society, his hopes for redemption. As Dickens' prose dragged us into the back alleys, sweatshops, and debtor's prisons of old London, Vachss takes us through the depravity of perversion as it is acted out upon the lost innocence of the unprotected children of America today." "[One] of the best Burke novels in years, gritty and violent as ever but also philosophical and even moving." It's not an unusual job for Burke—career criminal and ultimate urban man-for-hire—to act as middleman in an exchange of cash for a kidnapped child. But this time the only things exchanged are bullets. Burke loses his beloved partner, and lies in a hospital bed close to—or maybe even past—death, hovering in a netherworld of nightmares and hallucinations. When he finally escapes from the hospital, his appearance has changed radically—and so has he. Burke's religion is revenge. Eager to begin worship, he meets with the man who set up the exchange. When that meeting ends in homicide, Burke goes deeper underground than ever before—he vanishes off every radar screen and starts to hunt. Along the way, he enlists the aid of a pilot he hasn't seen since the war in Biafra and a Russian-speaking Cambodian woman named Gem. And he must locate a mystical childhood friend who finds patterns where others see chaos. With their help, Burke uncovers a frightening and evil foreign territory—a safe harbor for predatory degenerates. 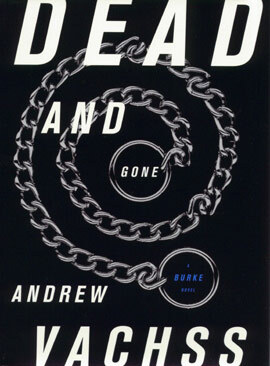 Stunning in its execution, shocking in its conclusion, Dead and Gone gives us a new Burke: trapped out of his element—and more dangerous than ever. "The books of Andrew Vachss are much more than great entertainment. They are a fierce crusade for all vicitms who can't fight back, especially the imperiled children to whom Vachss has devoted his considerable talent, and his life." 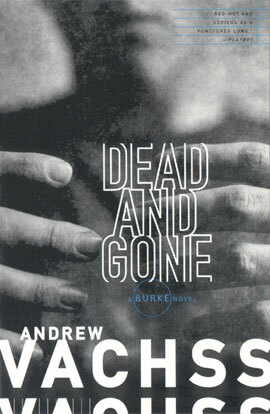 Dead and Gone is a defining chapter and an enlightening moment of transition in the long, hard story of Burke. At the same time, it is a stark, compassionate and strangely different novel by one of the most original and ferocious voices in American fiction. I cannot recommend it too highly."